Congratulations to commenter number four, Jake! Check your email for information about your free download of the Menu and Hours app. Blogger’s note: Irish Rover is featured in the Menu and Hours app, so Michelle Jones and I would like to give away a copy of the app for free! Just leave a comment on this post by Wednesday at 11:59 p.m. that answers the following question: What is your favorite Irish food? 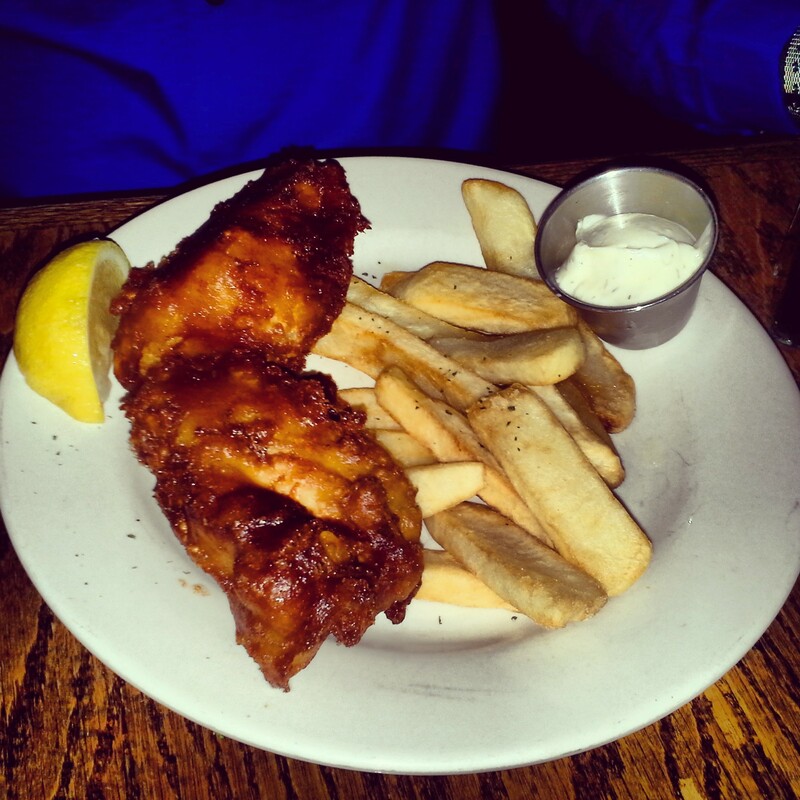 The fish and chips from The Irish Rover. in casserole form with potatoes, cream and Swiss and Parmesan cheeses (smoked salmon and potato gratin, $8.95); prawn are paired with cashews in a light salad ($9.95). I wish I could say something more poetic than, “Everything looked good.” But it was true. Everything on the menu did look good, from the appetizers to the desserts. 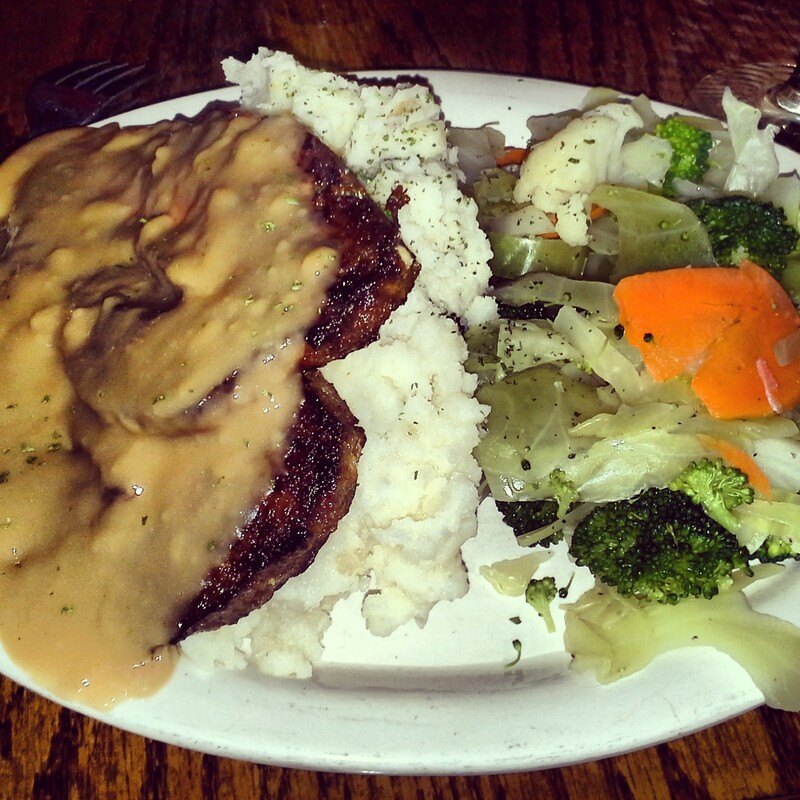 The meatloaf special at The Irish Rover. i have never been, but if I went I would def try the fish n chips. Fish and chips is so easy to make, but so hard to master. It’s why I love exploring different takes on it. I don’t know if the joke’s supposed to be on your readers, but there’s no rabbit in a Welsh rabbit. Favorite Irish food? Michael’s fish and chips at the Rover. Start with a Scotch egg, add a pint of Guinness, then walk down to the Comfy Cow for dessert. Perfect! Their Saturday Irish breakfast plate is also highly recommended! Beer! You can’t go wrong.